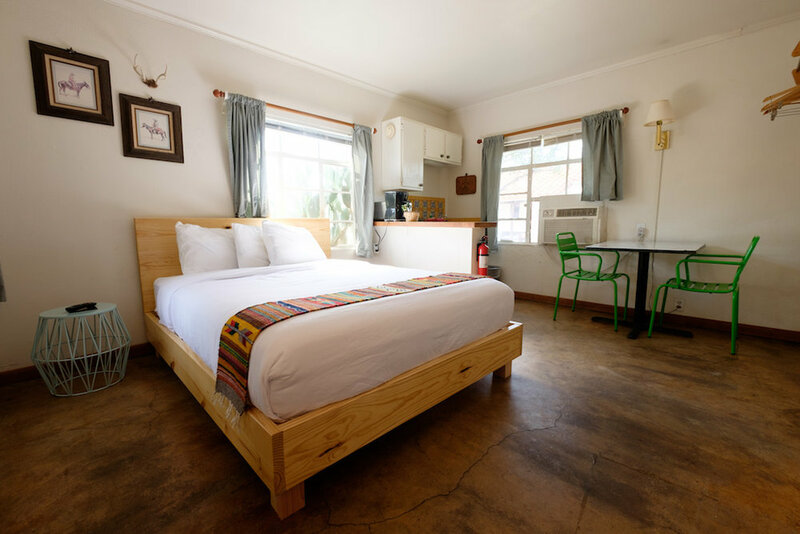 The Antelope Lodge is a 1950's motor court hotel set in the beautiful mountain valley of Alpine, Texas. The Antelope is one of the first motor court motels built in West Texas and one of the oldest hotels in Alpine. 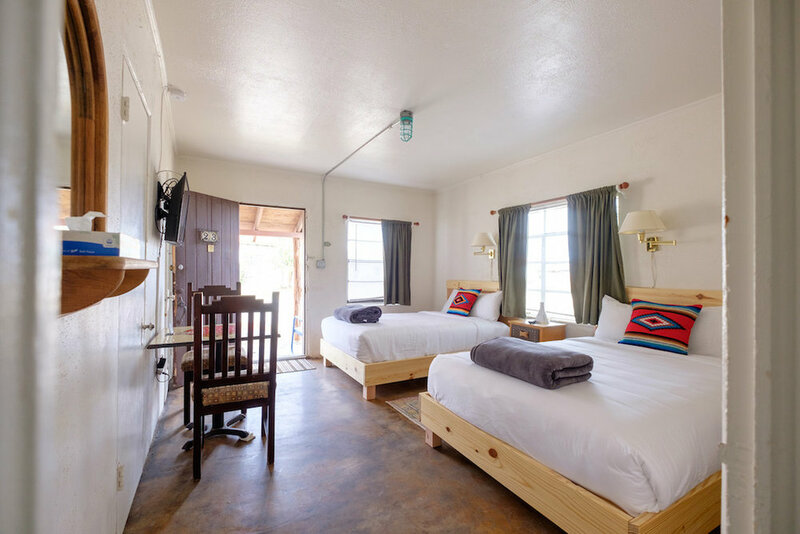 Road warriors from around the world utilize the Antelope Lodge as their base camp for Big Bend National Park, Fort Davis, the McDonald Observatory, Marfa, Balmorhea and of course Alpine TX lodging. 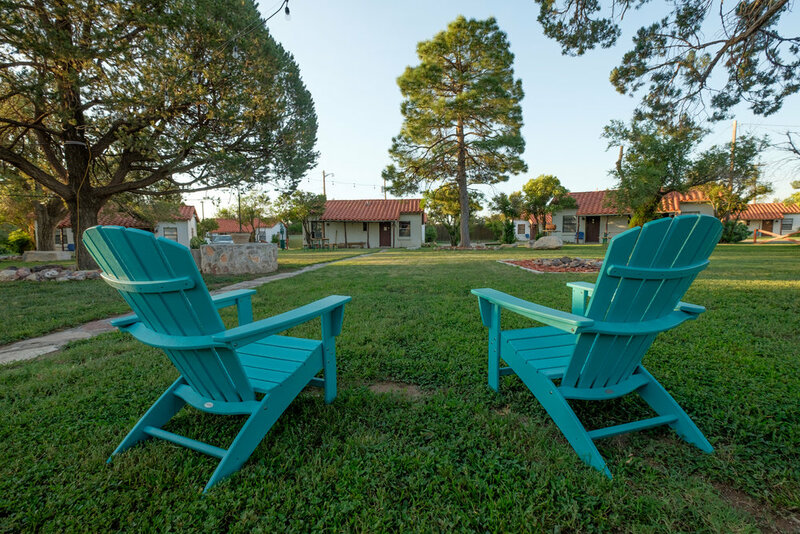 The Lodge is a pet friendly hotel with parking by your room and stone porches outside every door. The motel is currently undergoing renovations, so there are daily improvements being made. Come discover why West Texas is the best. The 1950 era Antelope Lodge has 28 unique rooms with kitchenettes, wifi, air conditioning, cable TV and parking by your cottage. Walls of each cabin are solid terra cotta brick covered in plaster, so they provide a lot of privacy from the outside world. A central courtyard shaded by pines trees is enjoyed by both guests and pets alike. Porches and chairs are outside every room so come sit a spell. The Lodge is currently undergoing renovations and there are visible imperfections, but if you want a vintage motor court experience this is it. 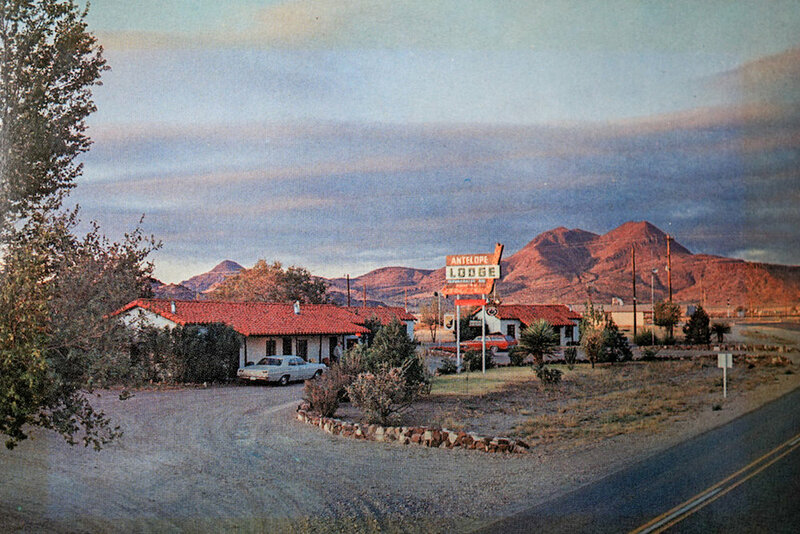 The Antelope Lodge is a rustic 1950's motor court hotel with an elevation of 4,475 ft. Construction of the iconic motel began in 1949 at the hands of skilled stone masons and local craftsmen. Built in the style of a classic motor court, it featured white stucco cottages with authentic Mexican red clay tile roofs, stone porches, kitchenettes, and a central courtyard. The name Antelope Lodge still appears on the front porch floor where the stone masons originally inscribed it with local rocks. The Lodge is currently undergoing renovations and we are diligently working to preserve this historic slice of Americana for all who venture on the road less traveled.